Why is the crust of the Earth shaking so violently all of a sudden? 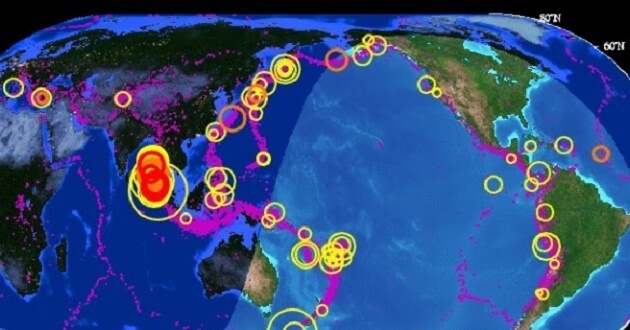 Over the past 48 hours, there have been five major earthquakes globally, and one prominent seismologist has declared that “catastrophic mega earthquakes” could be on the way. Seismologist Roger Bilham of the University of Colorado recently made headlines, warning, “current conditions might trigger at least four earthquakes greater than 8.0 in magnitude.” Scientists say there has been an above average number of significant earthquakes across south Asia and the Pacific since the start of 2016, sparking fears of a repeat of the Nepal quake of 2015 or worse. 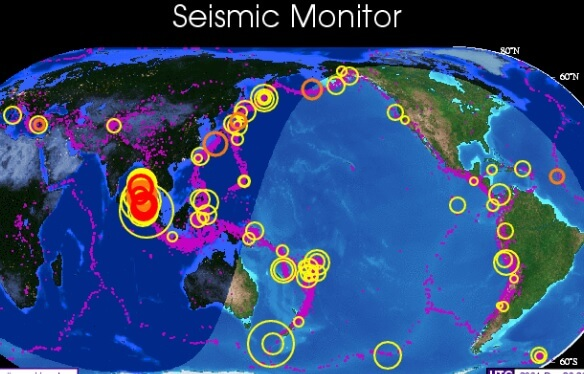 It is important to keep in mind that a magnitude 8.0 earthquake would be many, many times larger than the twin earthquakes recently in Japan; the second, a devastating 6.4-magnitude earthquake, killed at least three and injured 19 others. The quakes, which struck the south-western island of Kyushu, leveled more than a dozen homes, sparked fires and trapped several people under collapsed buildings. We also recently saw a magnitude 6.5 earthquake hit Vanuatu, and a magnitude 5.9 earthquake shook the southern Philippines, and a magnitude 6.9 earthquake struck Myanmar. Only days earlier, six people died in Pakistan when a 6.6-magnitude earthquake hit Kabul, only two days after a magnitude 4.2 earthquake in Nepal, which had suffered a 5.5 quake only months before. And last January there was a 6.1-magnitude quake in China only 16 days after a 6.7-magnitude quake in India. A Must See! Who Knew Nature Could Do This?